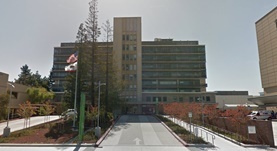 Dr. Barbara Demas is a recognized interventional radiologist in Redwood City, California. She received the medical diploma from the University of Chicago Pritzker School of Medicine in 1978. After getting her medical diploma, she did an internship in internal medicine at Tufts Medical Center. Dr. Demas completed her medical education with a residency in radiology at New York Presbyterian Hospital – Cornell Campus. This doctor is certified in neuroradiology and diagnostic radiology and her subspecialties are vascular & interventional radiology. She works at Kaiser Permanente Redwood City Medical Center. The following languages are supported at dr. Demas’s practice: Spanish, Russian and Tagalog.